Narrator: What does the mirror show you? What do you see? An oft told tale. That of Snow White, how she vanquished the evil Queen Ravenna and took her rightful place on the throne. But there is another story, one you have not yet seen. One that comes long before "happily ever after." 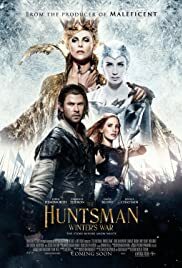 I saw the first part and liked Charlize Theron as Ravenna and Chris Hemsworth as Huntsman Eric, but overall I was not too impressed by it. This prequel/sequel takes what I liked about the first film and removed most of what I disliked to make a decent if not particularly special fantasy action adventure. We learn about the Huntsman's background and his wife, Sarah, who was mentioned in the first film. Also, we find out Ravenna has a sister, Freya, played by Emily Blunt. Charlize Theron delightfully plays it up as evil Queen Ravenna again, and I am a little disappointed that she did not get more screen time. The first scene with Ravenna playing chess with her royal husband is the best scene in the film. Then she disappears for half the movie. Also, I wish she would have had more scenes with her sister to show more of their relationship. I don't remember if Ravenna had a sister in the first film, but even if she did, we knew nothing about her. There is a creative interpretation of goblins in this film, which I will not give away. The visuals are overall pleasing to the eye, especially the climax has some beautiful visual effects. I enjoyed it a lot more than the previous film's awkward fight in the end. That said, the fight scenes are shot with much too many cuts for a 3D audience, a common problem with films wanting to cash in on the 3D feature but putting no thought into how a film has to be shot differently from 2D for a 3D audience. There is a scene with CGI animals akin to what we saw in the first film, which went too over the top for my taste (and the animals don't look too convincing - you can see they are CGI). The plot is very straight forward but apart from the common problem RPG pen & paper groups have, namely that not everybody has a reason to join the adventure, it was fine. 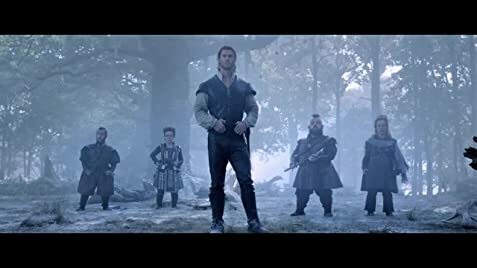 Seriously, the dwarf characters were obviously there for comic relief but they added little to nothing to the plot and I did not understand why they accompanied the Huntsman in the first place. The resolution comes too quickly in my opinion, it would have been better to linger more on the consequences of the second turning point. It feels rushed and doesn't explore the feelings of our characters very much, going rather straight to the action. One thing the film does very well is including female characters as something other than decoration. 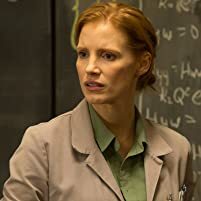 There is a 50:50 gender split when it comes to the main characters (didn't catch if it was the same with extras, sorry) and the female characters have a purpose and motivation without being sexualised or treated as eye candy. This is something severely lacking in most fantasy films, so I want to compliment the film makers for doing a good job on that front. Well done! Overall, I give it 6 out of 10. Enjoyable, decent fantasy flick, but nothing special. I would not necessarily watch it again, but also wouldn't be opposed if someone else wanted me to watch it with them.